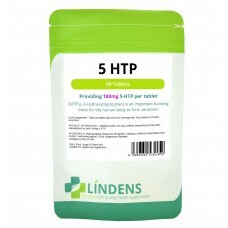 5-HTP (L-5-Hydroxytryptophan) is a natural extract from Griffonia plant seeds. Take one tablet per day with your evening meal. 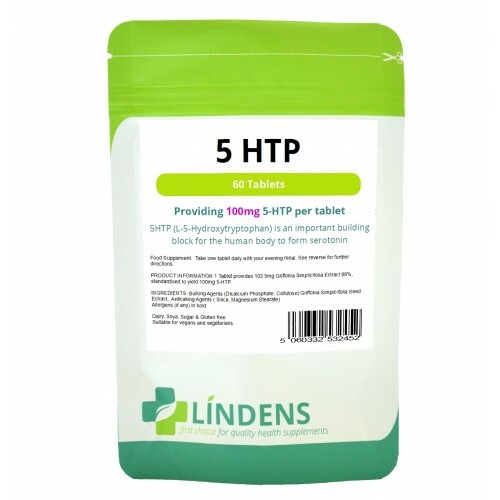 Each tablet contains 102.5mg Griffonia Simplicifolia seed extract, standardised to provide 100mg L-5-Hydroxytryptophan. INGREDIENTS: Griffonia Simplicifolia seed extract tabletted with cellulose, dicalcium phosphate, silica & magnesium stearate. Suitable for vegans and vegetarians.